Gelatin or gelatin (from Latin: gelatus means "stiff", "frozen"; compare with gelato) is translucent, colorless, brittle (when dry), bland food derived from collagen obtained from various animal products. 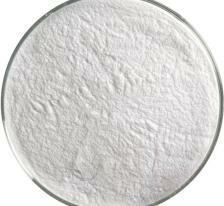 It is commonly used as gelling agents in food, medicine, photography, and cosmetic manufacturing. 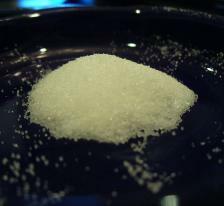 Substances containing gelatin or functioning in the same way so-called "jelly". Gelatin is an irreversible form of hydrolyzed collagen, which results in the reduction of fibril protein hydrolysis into smaller peptides, which will have a wide range of molecular weight associated with physical and chemical methods of denaturation, based on the hydrolysis process. It is found in most of the gummy candy, as well as other products such as marshmallows, gelatin desserts, and some ice cream, dips and yogurt. 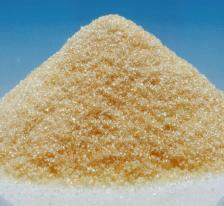 Gelatin for use recipes come in the form of slabs, granules or powder. Instant types can be added to food for them; others should be soaked in water first. 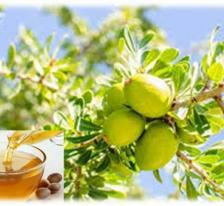 Various claims about the beneficial effects on health due to the consumption of argan oil have been made. Researchers have concluded that daily consumption of argan oil is "highly likely" to be one factor that helps prevent various cancers, cardiovascular diseases, and obesity. Palmitic acid, or hexadecanoic acid in IUPAC nomenclature, is the most common fatty acid (saturated) found in animals, plants and microorganisms. Its chemical formula is CH3(CH2)14COOH. As its name indicates, it is a major component of the oil from palm trees (palm oil), but can also be found in meats, cheeses, butter, and dairy products. Palmitate is a term for the salts and esters of palmitic acid. The palmitate anion is the observed form of palmitic acid at physiologic pH (7.4). Aluminium salts of palmitic acid and naphthenic acid were combined during World War II to produce napalm. The word "napalm" is derived from the words naphthenic acid and palmitic acid. Titanium dioxide adds whiteness and brightness to products and also helps them resist discoloration. Titanium dioxide also reflects ultraviolet (UV) light, which is why it’s often used as an ingredient in sunscreens. Most titanium dioxide (close to 70 percent) is used as a pigment in paints, but it’s also added to cosmetics, toothpastes, pharmaceuticals, paper and food. 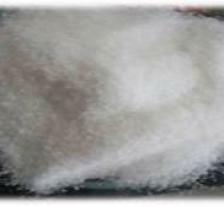 EDTA-2Na salt is a white powder with two crystal waters, easy to lose crystal water when dried and easy to soluble in water, but hard to soluble in organic solvents like alcohol or ethyl ether. The PH value of 5% (25. C) water solution is 4.0-6.0. 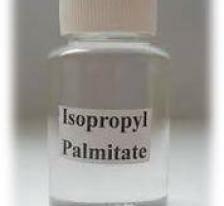 Isopropyl palmitate is the ester of isopropyl alcohol and palmitic acid. 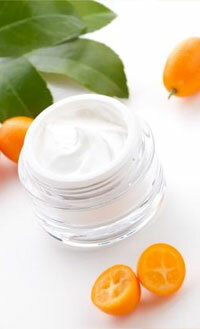 It is an emollient, moisturizer, thickening agent, and anti-static agent. The chemical formula is CH3(CH2)14COOCH(CH3)2. Isopropyl Palmitate is a colorless, almost odorless, liquid. 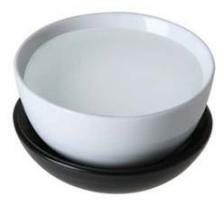 In cosmetics and personal care products, the Palmitates are used in a wide spectrum of products. Damar ( English: Dammar gum ) is the secretion ( gum or gum ) tree Shorea sp., Vatica sp., Dryobalanops sp., And others from the tribe of meranti or Dipterocarpaceae. These include damar and dark amber. Resin used in the manufacture of matches ( to prevent the fire from burning wood too fast ), plastic, plaster, varnishes and lacquers. 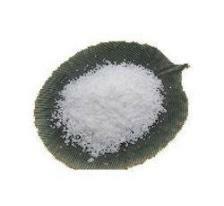 The resin is a resin triterpenoids, contains triterpene and the results of oxidation. 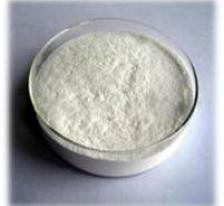 Many of them are low molecular weight compounds ( dammarane, damarenolat acid, oleanane, oleanonat acid, etc. 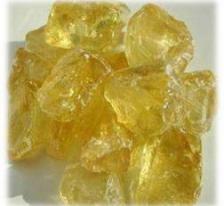 ), but amber also contains a fraction of the polymer, which is composed of polycadinene. Iodized salt or iodized salt is salt fortified with iodine needed for growth and intelligence. Iodized salt is used as salt consumption must meet the Indonesian National Standard (SNI), among others, contain iodine at 30-80 ppm (MOH). The use of iodized salt is essential for health, especially the health of the family. Iodine is useful to trigger the growth of the brain, thyroid gland healthy, healthy fetal growth process, educate the brain. Iodine deficiency lead to goiter, mental retardation, birth defects, children are less intelligent, miscarriage in pregnant women, and others. Lanolin (from Latin lāna, ‘wool’, and oleum, ‘oil’), also called wool wax or wool grease, is a wax secreted by the sebaceous glands of wool-bearing animals. Lanolin used by humans comes from domestic sheep breeds that are raised specifically for their wool. Historically, many pharmacopoeias have referred to lanolin as wool fat (adeps lanae); however, as lanolin lacks glycerides (glycerol esters), it is not a true fat. Lanolin primarily consists of sterol esters instead. Lanolin's waterproofing property aids sheep in shedding water from their coats. Certain breeds of sheep produce large amounts of lanolin. There is an inverse correlation between fiber diameter and wool wax content. Lanolin’s role in nature is to protect wool and skin against the ravages of climate and the environment; it also seems to play a role in skin (integumental) hygiene. Lanolin and its many derivatives are used extensively in products designed for the protection, treatment and beautification of human skin. Propylene glycol, also called propane-1,2-diol, is an organic compound with the chemical formula C3H8O2. It is a viscous colorless liquid which is nearly odorless but possesses a faintly sweet taste. Chemically it is classed as a diol and is miscible with a broad range of solvents, including water, acetone, and chloroform. It is produced on a large scale and is primarily used in the production of polymers but also sees use in food processing. Email 10 PHD is a power from product which consists Sodium Lauryl Sulfate as the main component. It dissoves in warm water and exhibits good foaming, wetting, emulsifying, dispersing and washing actions. It is stable in acid, alkali and under hard water that contains heavy metal ion like Calcium and Magnesium. Macadamia oil ( or macadamia nut oil) is the non -volatile oil Expressed from the nut meat of the macadamia ( Macadamia integrifolia ) tree , a native Australian nut . 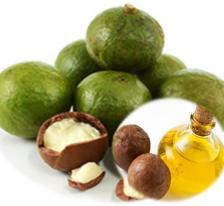 Macadamia oil is sometimes used in food as a frying or salad oil , and in cosmetic formulations as an emollient or fragrance fixative .